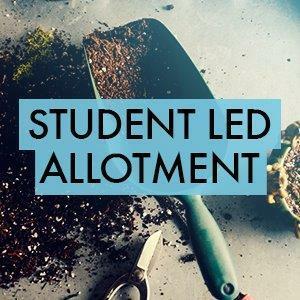 The Students' Union volunteer led allotment. The aim of the project is to increase knowledge in the student community on how to grow your own fruit and vegetables and, most importantly, eat it! We need help all the way from digging to design, planting to primming and learning to laughing! Make sure to join this group to keep updated on progress and meet ups!